Crystal Palencia is one of the top junior division music award winners in various countries. She has won four years running, winning consecutive gold awards in the Music Heritage Festivals in orchestra performance, and has also won two recognition awards in the State of California and Kyoto, Japan. 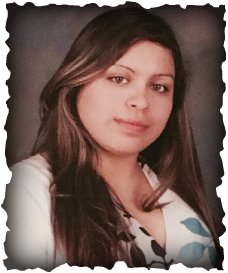 Crystal is currently studying music education at El Camino College, being classically and Baroque trained. She is also in training to conduct voice and orchestra works. Crystal has started playing not one, but various instruments at the age of four and a half, violin being her primary instrument. She has been trained to play woodwind instruments such as Flute, recorder, and etc., piano, the string family, voice and foreign instruments such as the Koto, Taiko, and the accordion. Crystal has been trained by various instructors including Narumi, Ramos, Kamida, Lubo, Bell, and Steinberg. A-er traveling to many parts of the world, Crystal is fluent in English, Spanish, and Japanese, she spends most of her time teaching in Japan, Mexico, and the United States to various ages and to those who have disabilities.